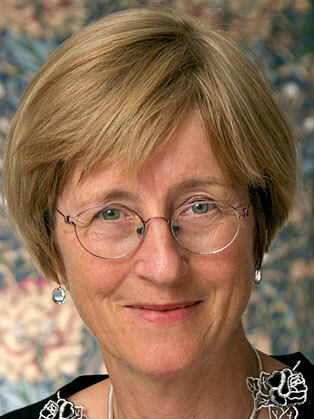 Frances chairs Britain's Economic and Social Research Council, and broadcasts on Marketplace and on the BBC. She was Management Editor of The Economist until 2004. Frances is the author of The Company of the Future, published in 2002. Frances examines the challenges and opportunities technology places on corporate structure. She also looks at the shifts resulting from the ‘death of distance’ – and outlines how companies, governments and environmentalists can make common cause. She is also the author of The Death of Distance, a study of the economic and social effects of the global communications revolution, first published in 1997 and re-published in a completely new edition in 2001. This insightful book about the cataclysmic changes sweeping through communication and how those changes will shape the future was shortlisted for the MCA Management Book Award. The book predicts the ways in which the communications revolution will tilt the balance between large and small, rich and poor, as it transforms many business and government decisions. She wrote two books about the environment, Costing the Earth: the Challenges for Government, the Opportunities for Business and Green, Inc., during her time as environment editor of The Economist between 1989 and 1994. She won the first Reuter's-Alpe Action award for her coverage during that period. In her time on The Economist, she wrote widely on management topics, including on the future of corporate boards, on family firms and on issues around executive pay. She has lectured widely to audiences in several countries, including the World Economic Forum of top managers in Davos, Switzerland. She is an excellent conference chair, and has chaired a number of major conferences for The Economist group worldwide. She previously held posts as principal economic columnist on the Guardian newspaper, and as editor of The Economist's Britain section. She was educated at Oxford University and at Brown University, Rhode Island. She is a non-executive director of the Alliance & Leicester group, a FTSE100 company.